Looking for an incredible and rewarding experience? 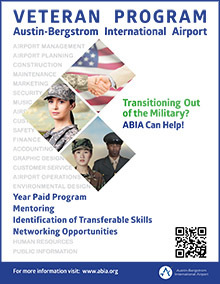 ABIA offers internship throughout our organization, so students can develop their professional skills with valuable hands-on, real-world experience. 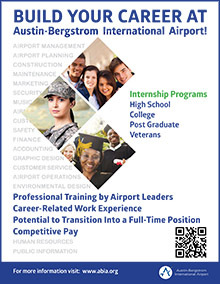 Interns receive professional development opportunities in their field of study and the opportunity to enhance networking skills with City of Austin Leaders. Part and full-time year-around internship programs are available for high school and college students of all majors.